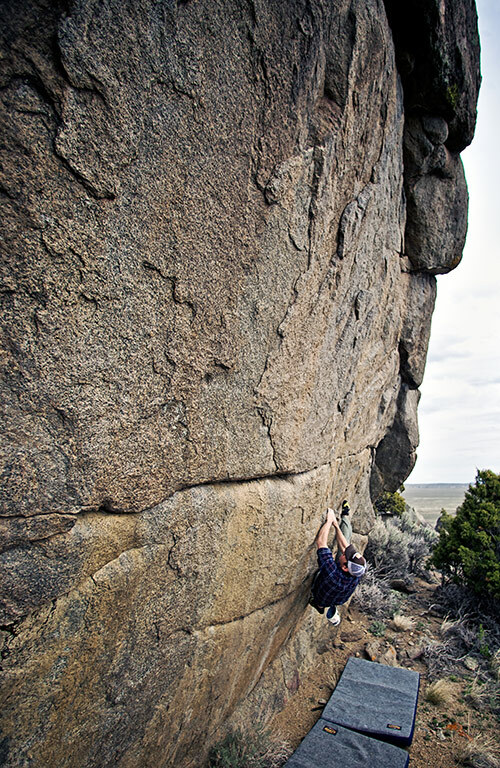 The new rock climbing guide to Jackson & Pinedale, WY will be includes a little-known bouldering and top roping destination called The Galaxy. 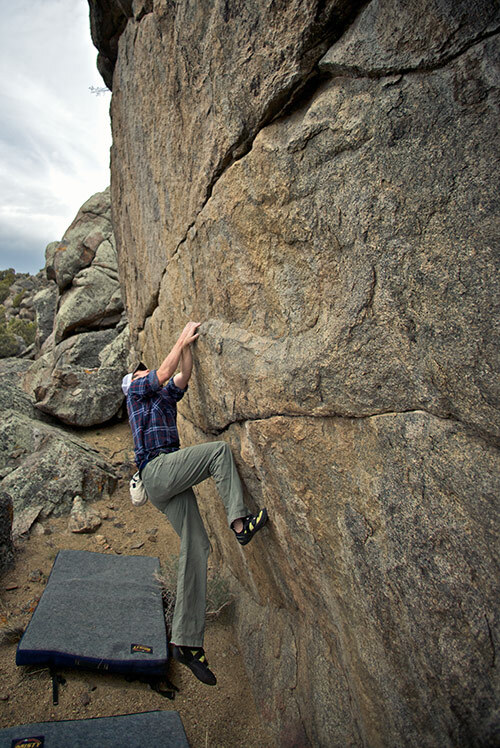 This up-and-coming area is every boulderer’s dream playground – there are literally hundreds of easily accessible, and densely concentrated boulders within a 1-15 minute approach. 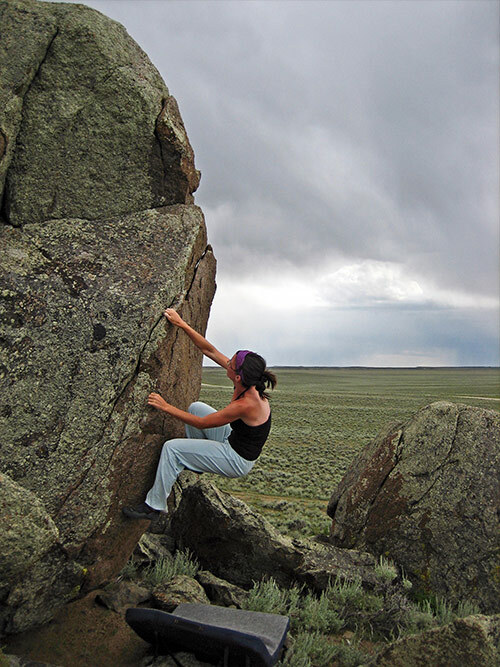 The Galaxy’s obscurity to climbers has kept this hidden gem from being fully explored, in fact, only a handful of boulders have been climbed. 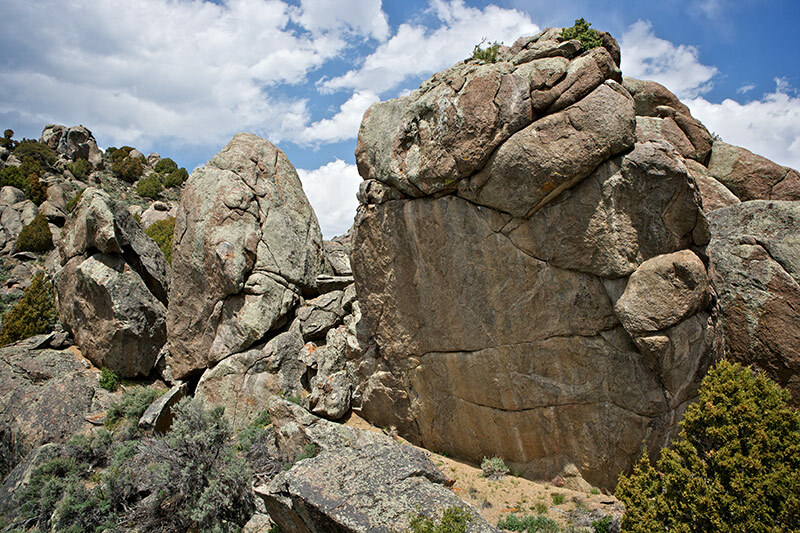 Should you choose to visit, expect to find high quality granite ranging from 10-40 feet in height of all styles and difficulties. 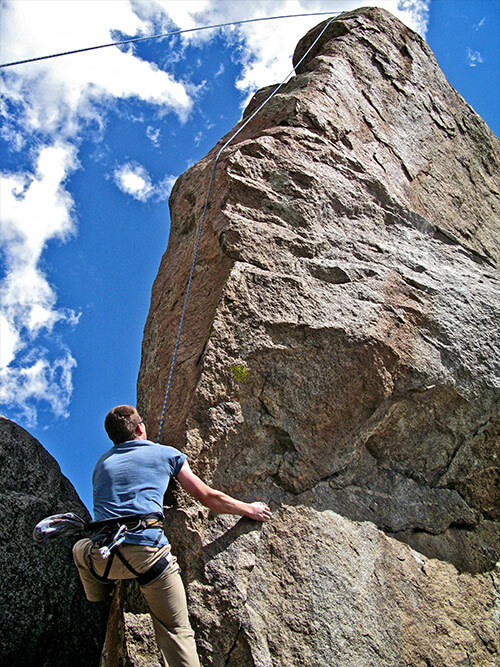 The first ascent potential is immense. Those willing to explore will be greatly rewarded! 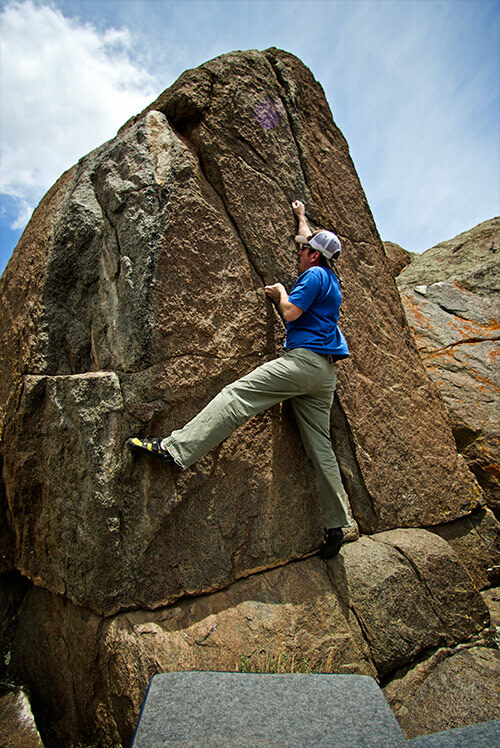 The prominent boulder is known as the Dark Matter Boulder and is begging for a first ascent - do you dare try? This short video (by Jakub Galczynski) shows a brief overview of the Galaxy and introduces a few boulders, some of which have been already documented in the free guide. The Galaxy has seen some action recently. 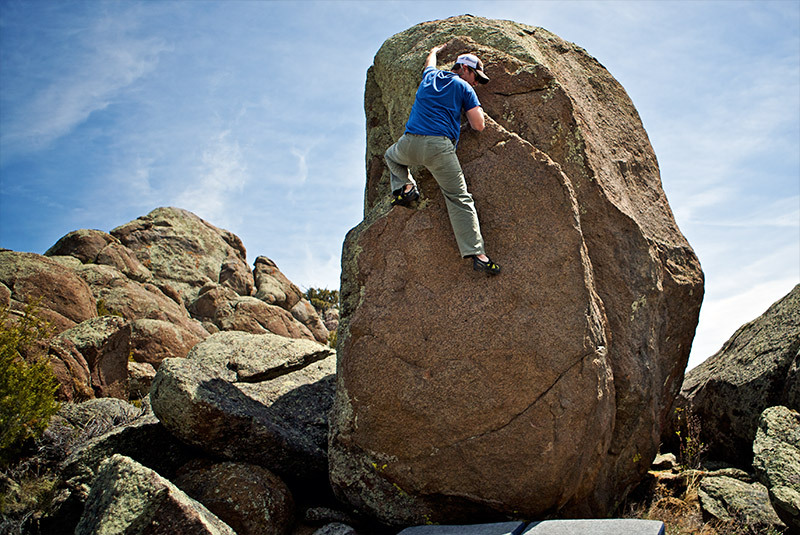 Many new problems have been established and new boulders found! Stay tuned for guide updates and new photos. 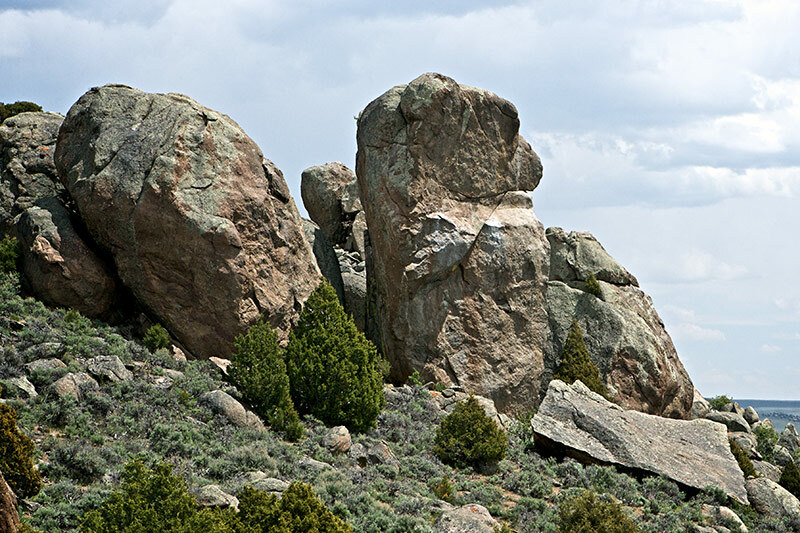 Actually, the areas marked “unexplored” have seen quite a bit of exploration and development over the last six years; the stone here is usually really dirty so chances are if something is clean enough to climb on it has been done. Thanks for the feedback! 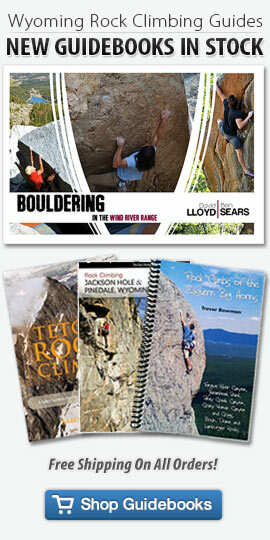 That doesn’t surprise me but I don’t have any beta for the “unexplored” areas… if you have any beta please send it to me (wesley@climbingwyoming.com) so I can update the guide. The Galaxy Mini-Guide has been updated to a new version. New photos, details, corrections, etc. Check it out. 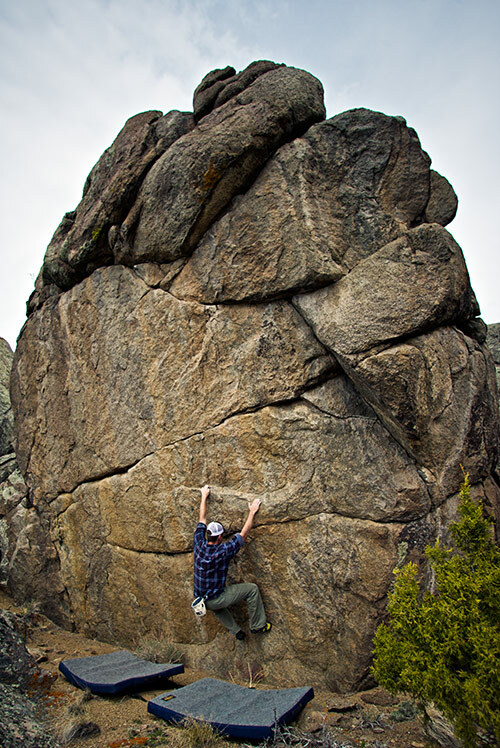 The rock here is fairly solid but pretty much any face hold can snap, footholds are often grainy and the numerous flakes are usually somewhat hollow; so please climb carefully, knock on holds to see if they are hollow, as with Hueco do pull down not out and climb smoothly. This is a fantastic place for experienced climbers but imho quite dangerous for those just starting out–remember you blow it here and you hit the ground. 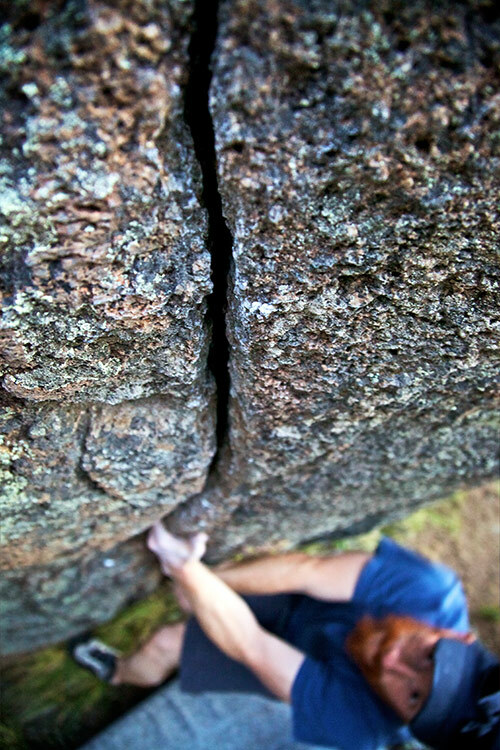 As an example the “fun warm up” pictured (Jason on the Derringer problem on the Tombstone boulder) tops out with a no hands mantle onto a flexing flake detached on three sides high above a somewhat bad landing. Just saying you need to be careful here. Enjoy and be safe!